Pitso Mosimane says he will do a lot of listening to his Mamelodi Sundowns players and his technical team going into the crucial stages of the Caf Champions League and the Absa Premiership. Sundowns lead the race for the domestic title but their bid for a ninth title takes the back seat this weekend as they are in Morocco to face Wydad Casablanca tomorrow in the Champions League. “We need to listen to the players and our technical team because it is an ego thing to say I am the head coach and I am going to do it my way. It is a collective effort and we need honesty more than anything but it is a little difficult because players want to play all the time even if they feel a bit tired. 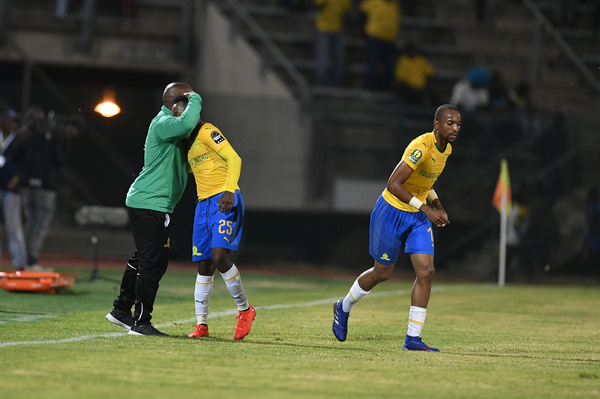 When you have that it is good because your players are not chickening out – it means they have the will to win,” said Mosimane. READ: Manyisa to lead player exodus at Sundowns? Masandawana have already qualified for the quarterfinals but Mosimane wants to make sure they advance as the winners of Group A – meaning the Brazilians need nothing less than a draw. In outlining his game plan against Wydad, Mosimane says he will be guided by his last game against Maritzburg United. “What tells you what to do is your last match and the opponents you’re playing against. You can’t just go with what you like or feel like, or what the supporters want. They want their favourite players on the pitch and then we get dragged into that because we get stressed when they call the names of the players who they love. “We have six centrebacks and we have used five of them. They all have to play but the challenge when you want to use everybody is that the mentality must remain the same, the will to win and the play must remain the same. You can have a lot of players but when you play them it is not easy.